LOOKING FOR THE FARMHOUSE LOOK? 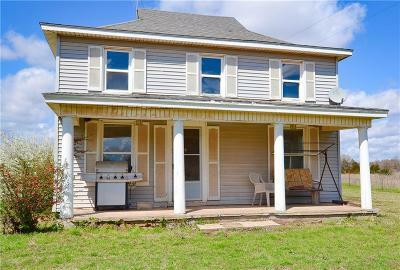 Check out this 4 bedroom 2 bath farmhouse on 10 acres, located just North of Chandler. 1 Bedroom 1 Bath downstairs, and 3 bedrooms and 1 bath up. This home was built just 5 years after Statehood and is a fixer upper, with lots of potential.